Brand new sleek warehouse style residence. 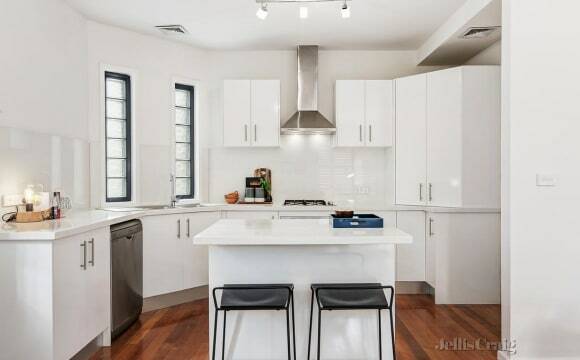 Spacious open plan living / kitchen with marble island bench and induction cooking. You will have your own bedroom and ensuite bathroom with shared use of the rest of the house and entertainers court yard. Features security system, split system air cond and heating, Bosch appliances, engineered oak floaring and high ceilings. The property will be fully furnished other than your bedroom. Set at the rear of the property, offering a blue chip location close to cbd, parklands, Clifton Hill train station , shops, cafes and leisure centre. She’s a beautiful and breezy home in Clifton Hill with loads of character, space and natural light. Her best feature is the high ceilings and breezeway that channels the delightful balmy summer afternoon breeze. Just as equally delightful is the heater in the living room for those cold winter nights. Our home is alive, with an edible food garden and compost bins out the back and a sweet community of plants doing their magic inside. 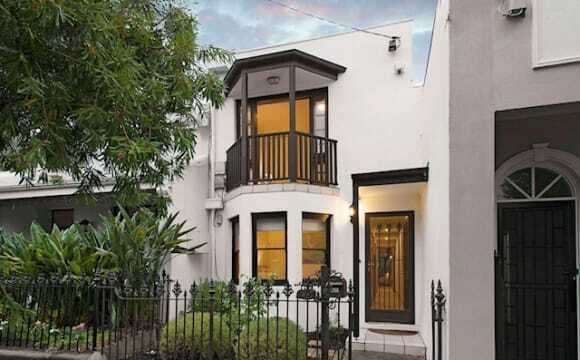 Brilliant location - Collingwood, Clifton Hill and Fitzroy North right on the doorstep. Trams, trains, buses all within 5 mins walk, Darling Gardens just up the road and Edinburgh Gardens 20 min walk away. I have a beautiful bright home in Clifton Hill. It’s a feel good home and very peaceful, located on a quiet street. There are parks down one end and local cafes down the other end. My lovely home has 3 bedrooms plus a study. It has one bathroom and a living area. A huge kitchen area which looks out onto the peaceful leafy garden. It has polished floorboards and pieces of precious art which adorn the walls. Anna, the amazing house manager lives in this house (I, the owner live overseas) so Anna is looking for two awesome extra people to occupy two of the bedrooms. BEDROOM 1 There is hydronic heating which is amazing and heats up all the rooms in the house en masse quite quickly. This bedroom has a beautiful bay window with street views. It has polished floorboards. Has been freshly repainted and has really beautful light. It comes with a queen size bed. It also has a heavy oak chest of drawers, smaller wardrobe and a hanging rack. Rent is $250 per week plus bills. BEDROOM 2: This gorgeous bedroom has beautifully polished floorboards, hydronic heating, a massive built in bookcase for ample storage. It also has an optional hanging rack, queen bed, bedside table and lamp. You may decide to have it fully furnished or not. The choice is yours. Move in is May 3rd. Rent is $250 per week plus bills. Good sized room, wifi is good, nice kitchen, "best shower in Melbourne". Aircon for the hot days. Super close to some of the best suburbs in town. Wonderful peaceful house in the heart of the inner north. Spacious and comfortable 2 bedroom house with a large kitchen/living area with HUGE 6 burner stove and oven and dishwasher! Cute paved courtyard out the back and bright and airy rooms with built in robes. The house is furnished, but the room is not. Lovely neighbours. Close to the Clifton Hill traino ( 2 lines) the 86 tram and buses. Just down the road are Fitzroy baths, Smith St, Edinburgh gardens, Darling gardens, Westgarth cinemas, Yarra bend reserve, Abbortsford convent and so much more.. This is a great house in a great area. Spacious three bedroom town house in Westgarth. Room includes large built-in robes and feature wall. The house is a stones throw from Westgarth Station, bus and trams. Ideally located at the back of the block. New housemate will be sharing a bathroom with one other and there is also an additional 3rd toilet in the townhouse. The location is awesome. High Street is one of those places that takes a little while to warm to, but that's only because there's so much of it to warm up to if you get me. There's cafes, restaurants, bars and shops spanning on for suburbs, and Westgarth is just the foot of that. Not only that, the public transport is really convenient. Want to go to Brunswick? Zip across on the bus around the corner from the house! CBD? Westgarth station is a two minute walk from the house. Same goes with the tram (86) which whips you either towards the budding culinary scene of Thornbury or the lively nightlife of Smith Street in Collingwood. The room ain't the biggest, but I was always pretty comfortable with the fact it wasn't a huge price to pay for a spot in a good area. If you're smart about the space, there's definitely a lot you can do with it. Crazy good location. The bus stop (250 &amp; 251) is on our driveway. The 86 tram is 50 meters to our left, and the Hurstbridge/Greensborough train line is about 50 meters to the left. You can also catch the Mernda train line, but that walk is slightly longer (10 minutes). We are pretty much on the bottom of High Street, so lots of bars, cafe's, and organic grocery stores on our doorstep. Collingwood is also a walk-able distance. Best of all it is in a "gated" community so our place isn't as loud as most inner-city dwellings. 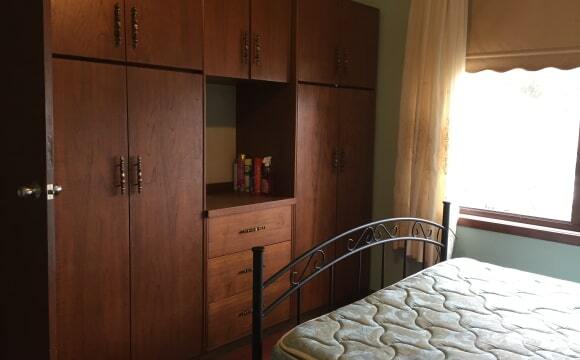 This large room is only $160 per person per week (twin share) inclusive of all bills. ie. A total of $320 per week for a couple. The rent for a single person is $300 per week. 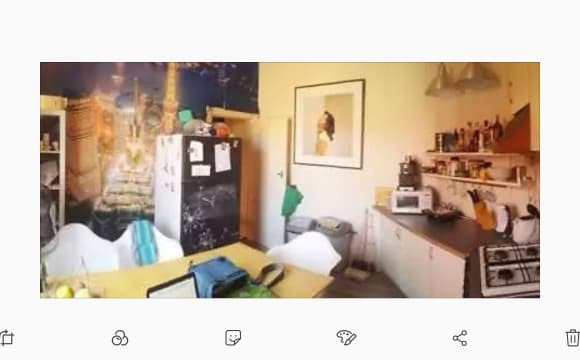 QUICK SUMMARY: Fully furnished, perfect location, easy access to everything, lovely, tidy and easygoing housemates (1 early 20s student from France and 1 Australian couple also in their 20s). THE HOME: This 3 bedroom house has been internally renovated. It is fully furnished. All you need to bring are your clothes and toiletries. It is a charming, free standing, weatherboard home, full of natural light and located in one of Melbourne's best lifestyle locations - It is very cosy and warm with gas central heating - The kitchen is fully equipped and there is a large dining table to seat 6, gas oven and stove top and an exhaust fan that vents outside for odour-free cooking - The lounge room is large and comfortable with original Australian Aboriginal paintings, leather lounges to seat 7, air conditioning, large flat screen TV, solid wood furniture and both direct and indirect lighting - There is separate laundry with washing machine, clothes dryer, second toilet and secure, dry, bike storage - There is a sunny courtyard / alfresco dining area with barbecue BILLS: This includes all gas, water, electricity, unlimited Wi-Fi internet, local calls, calls to mobiles and most international calls, lawn mowing and house maintenance. HEATING: Central gas heating to all rooms AIR CONDITIONING: The common lounge room is air conditioned THE LOCATION: I am sure that you will simply love living here - Easy walking distance to Abbotsford's excellent cafes, shops, pubs and bars - The neighbourhood is safe, friendly and quiet - Train to the city in 8 mins, cycle in 15 mins or walk in 45 mins and achieve the daily recommended exercise in the process RECREATION: - In front of the house is the Victoria Park sports / exercise ground - Across the road is the Yarra river, Dights Falls, the capital city trail ⁄ bike path and Studley Park - the largest park in Melbourne. If you walk just 200m into Studley Park it can feel like you are in the Australian bush! Enjoy picnics by the Yarra river or walks along Merri creek and countless other walking tracks - You can easily walk to the Yarra Bend or Studley Park golf courses - Take a stroll to either Studley Park or Fairfield boat houses where you can hire a boat/canoe and explore the river As you walk past Dights Falls after rain you may see people canoeing or kayaking the rapids. It has been used many times for the Victorian Canoe Slalom Championships. When in high flood the weir creates a large standing wave, which can be surfed by numerous paddlers at once - 5 min walk to Abbotsford Convent art precinct and the Collingwood children's farm. Visit the famous "Lentils as Anything" restaurant where you pay by donating whatever you feel is appropriate. CYCLING: Excellent jogging ⁄ bicycle access to the CBD and almost everywhere. Ride along the Yarra river. Take the Capital City Trail bike path to the city or the other way right up the Yarra! 10 mins ride to countless shopping and nightlife precincts in all surrounding suburbs PUBLIC TRANSPORT: Getting to beaches, CBD and all over Melbourne is easy from here. - Victoria Park Train Station: 5 mins - Johnston St Bus stop - 3 mins # 200, 207 and 966 - Hoddle St Bus stop - 6 mins # 246, 302, 303, 304, 305, 309, 318, 350, 905, 906, 907, 908 and 961. 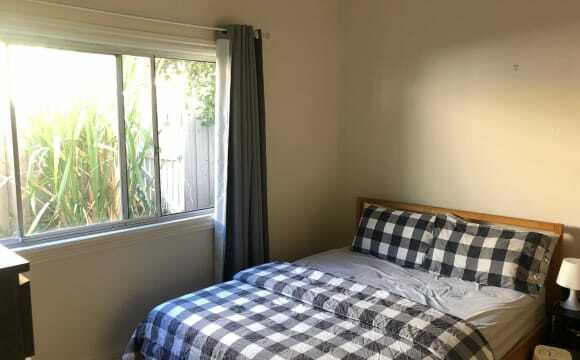 Shopping - 5 minutes walk to Woolworths Express or Coles Express or IGA ====================================== ROOM DETAILS: Fully furnished including a queen sized bed suite &amp; mattress, own flat screen TV, bedside tables with lamps, tallboy, full width wardrobe, study desk, study chair, desk lamp, original art etc. BOND: $640 for a couple or $600 for a single person. Rent is paid in advance. INSPECTIONS: In order to make it easier on the existing tenant we have scheduled 3 regular inspections: Wednesdays at 6:00pm. Fridays at 6:00pm. Saturdays at 11:30am Please contact me to arrange a viewing so that I can give the existing housemates adequate notice. 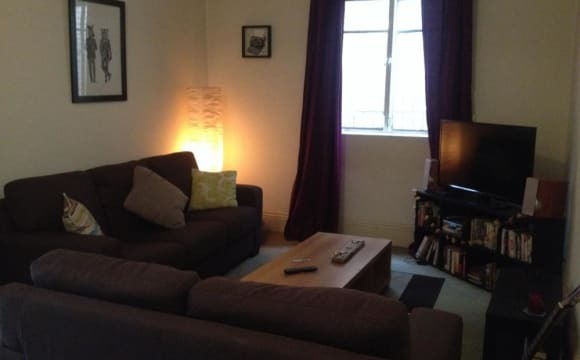 Walking distance to High street (pubs, bars, restaurants), and close to train and 86 tram. Opposite park leading to Merri Creek. Awesome old double storey mansion, 16ft ceilings, huge backyard, veggie patch and lots of birds. You are: Age 30+, pays rent and bills on time, someone who's happy and chilled, social, working and house trained. Note: Rent per month is $680, PLUS bills, approx. $100 per month. Are you a student studying at Melbourne Polytechnic? Enjoy your own fully furnished, self-catered room at Yarra House, Melbourne! 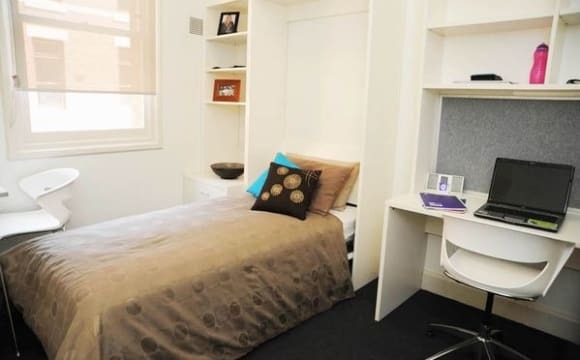 Yarra House offers a range of stylish apartments, located right on campus at Melbourne Polytechnic. From studying to social life, we offer everything you need to make the most of your university experience! We have a range of apartments from single rooms all the way up to a 4-bedroom cottage, the choice is yours! - A fully furnished, contemporary room - High speed wireless internet access - Large games room - Study and recreation areas - Communal cooking facilities - BBQ zone - Laundry - Exclusive events and parties for Yarra House residents - 24 hour support and security Rent includes all utilities (water, electricity and gas) so there are no unexpected bills during the year! Make your application ASAP to secure your place in our vibrant and lively on-campus culture! 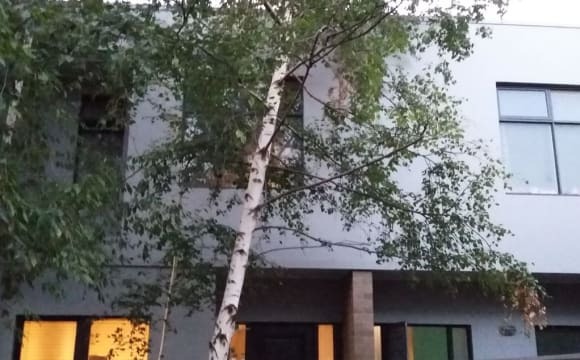 Magnificent trendy looking townhouse in Abbotsford, close to Melbourne City/CBD, Richmond shopping centre, Scenic Yara/River, Shops, supermarket, parks, bars, cafes and restaurants. Abbotsford is one of most attractive suburbs in Melbourne, closer to Fitzroy, Kew and Collingwood. 1.2km from dennis station. Beautiful view from the building.Room includes 2 beds, 2 study tables with over head lamps, 2 cupboards, attached bathroom, a mini fridge, built in wardrobes, and an air con. Laundry room, kitchen area, games room and the gym is shared Games room has table tennis, pool tables, big screen to watch movies, lots of socialising events every week, free wifi. The house has a good sized living room, dining area, kitchen, and a bathroom that includes a spa. We have a courtyard out the back which gets lots of sun, and is great for BBQs and beers over the summer days. There's also a veggie patch which is not being used, so all yours if that's up your alley :). It's a really comfortable, homely place. Friends are always welcome, but obviously on weekdays that's within reason. STILL AVAILABLE AS OF 15 APR. MOVE IN ASAP :) The room is huge with a floorspace of 4.5 x 3.5m, with ensuite and double walk-in wardrobe. This double walk-in wardrobe contains two sets of shelves, built in racks and storage space above. The sun streams in through double glass doors from lunchtime to mid-afternoon, so always a healthy dose of bright sunshine in the summer months. Also blinds and a dedicated heater / air-conditioner for perfect temperature control all year round. The room can get some noise from the traffic on the streets however previous couples have managed to live with the noise and lived in the room for up to 2 years. The room has sliding doors which open out onto the end of a huge 17m long balcony, with plenty of room for sunbathing and entertaining. There is a spacious open plan shared living room and kitchen area, which has a second sheltered balcony, perfect for growing herbs and a BBQ. The big living room has polished wooden floors and mountains of art/crafts which make it feel like a family home. The apartment has heating/air-conditioning, fridges, dishwasher, large gas stove top, laundry space with washing machine etc. You'll also get your own lockup-cage in the garage space down below for bikes and extra storage. The apartment is furnished, so you only need things for your room. Smack bang in the middle of the best coffee, food, venues and culture in Melbourne. You'll be close to Smith and Brunswick street bars, cafes and shopping and within 3 minutes walk of the 86 tram line. Outdoor summer hot spots include the Fitzroy pools, Edinburgh gardens and the Darling gardens close by. The much loved Fox hotel is almost next door, with rooftop dining, ping pong, pool and epic burritos. Nat and Carrie-Anne are great housemates. Nat is final year Med student, who will often rap his way through study notes for you, and explain the inner workings of your body ! Vegetarian and conversationalist, there's never a dull moment when sharing the kitchen or living spaces. Carrie-Anne (Cazmo )is the icing on the cake, who is lively and funny, and has a heart of gold. Carrie-Anne works as an events coordinator across Melbourne, and in her spare time crafts and creates amazing puppets (yes really). We are looking for a tidy couple who are willing to embark on voyages of good banter and relish our Melbourne lifestyle, but most of all some new friends to share our home with! Rent is a competitive (cheap) $750 per month per person if a couple ($1500 for the room if a single) plus internet ($15.00 per person). Bills are split four ways as they come in . If you've made it this far and would like to come meet and greet the house / occupants! Drop us a line! 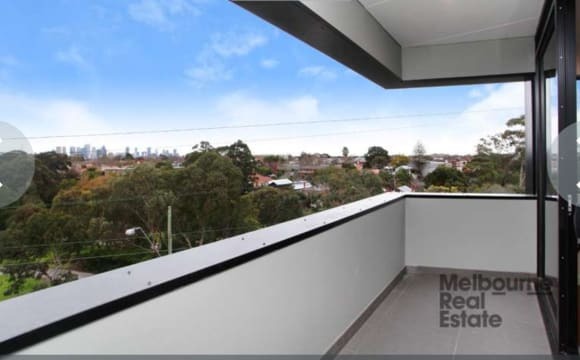 Relish this opportunity to secure the best view in Fitzroy North from your new PENTHOUSE (by default) apartment. If million dollar views isn't your cup of organic almond milk latte, then step out onto the beautiful Edinburgh Gardens for all your nature-filled needs. Perhaps enjoy a spot of couples yoga, a shred in the skate bowl (easily switched out for lawn bowls if preferred), or a bbq and beers with pals, its got something for everyone. Step only just a little further to a host of shops, bars and restaurants. Its a one stop shop. Transport options galore (walking distance to trams, trains and buses). The apartment is a cosy, well-kept gem, that serves as a perfect base for all your lifestyle needs, and complete with heating/cooling. Coeliac friendly as well. Please note, the relevant checks through the realestate agent will be required, and you will be required to be on the lease, if successful. Females preferred. The apartment is light filled, spacious, split across two levels, modern, has air con upstairs, has great views of the CBD and a balcony. It’s also fully furnished in the common areas. The apartment is just off Smith Street and is close to the Route 86 tram, Edinburgh gardens and lots of cafes/restaurants. The room itself easily fits a queen size bed and other furniture. It also has a built in wardrobe. ABOUT THE HOUSE: The house is furnished besides your future room. We have everything in the way of couches, fridge, washing machine etc so leave your baggage at home pls The bedroom itself is unfurnished and doesn’t have BIRs but has plenty of room for a bed, bedside table, chest of drawers etc and we’re happy to the leave hanging rack (in picture). The room is medium sized with lots of natural light. We split internet, water, gas and electricity bills evenly, and they are relatively cheap! Awesome inner city location- 4 minute walk to Victoria Park station, with Dr Morse, Ritas, Abbotsford Convent and the Yarra River Trail all a stone’s throw away! 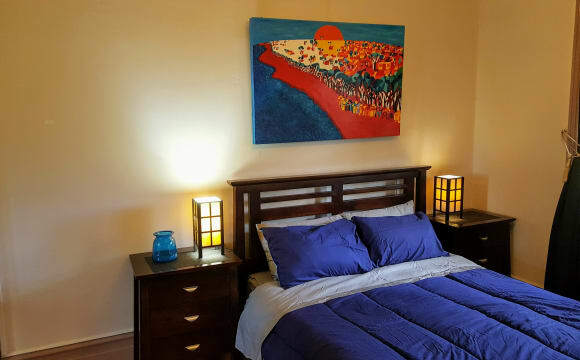 We have a beautiful large room with en suite available in our Fitzroy North house. Open to a couple or single. 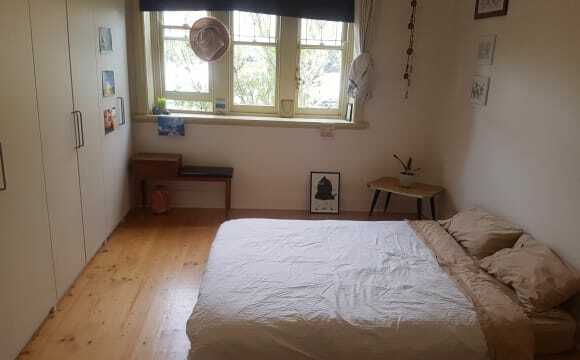 Room available from 29th April and is $392.50/week. The 3 bedroom house has a huge outdoor area, spacious kitchen and living room. It is a 1 minute walk from the 11 tram line and Piedemontes supermarket and 10 min walk to Rushall station. Being located on a bike path, Edinburgh gardens is only a 1 minute walk away also. Bond of $1440 needed upfront and rent is paid fortnightly. Will be open to both long and short term stays If you are interested please send through a message with a little bit about yourself and we will schedule in a time for you to visit the place. 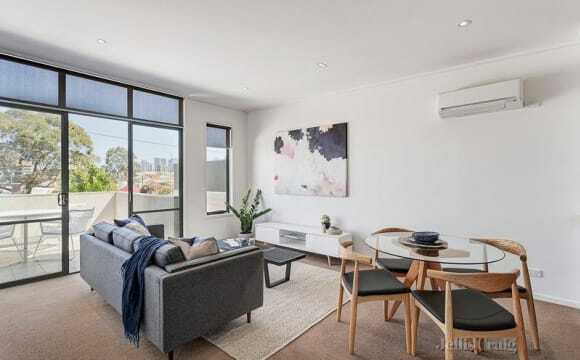 Available for rent is a unfurnished queen sized bedroom which is part of a two bedroom two bathroom fully furnished apartment which has amazing views of the city, facing Merri Creek with everything you could possibly need at your doorstep! Only a 6 km walk to the city, 350 m (4 mins) walk to Merri Train Station, 260 m (3 mins) walk to 11 tram stop and 850 m (10 mins) walk to 86 tram stop. The apartment building is situated off the High Street and Brunswick St is just a short 5 min tram ride on the 11 tram. The apartment itself is an open plan design with beautiful timber flooring. The kitchen flows out to a air-conditioned/heated dining area complete with a study nook. The open living area flows onto a small balcony that is perfect for a quiet get together for a drink or dinner. The bedrooms include heating and air conditioning. The under cover car park will become available once my housemate moves out and this also includes a generously sized storage cage. Available 27th April. BTW the furniture in the photos is also the estate agents work and they unfortunately did not leave it behind. Awesome location in Collingwood, right next to Smith St. Polished boards throughout, a large open plan living/dining area leading downstairs with a sweet kitchen with granite bench-tops, stainless steel appliances, dishwasher and breakfast bench. A separate laundry/powder room and a private courtyard. Upstairs are bedrooms and your room has space for a king size bed, desk and also has built in robes. You also have your own new split system A/C to either chill out or spice up your life. Lux central bathroom with separate bath. One car permit available. Stroll to Smith Street trams, trendy cafes and renowned restaurants, and enjoy easy access to Victoria Park Station and Eastern Freeway. Creative place close to everything. Large courtyard.